In the last years I’ve come to realize that speaking “genres” is getting more and more difficult. The amount of influences, sub-styles and collisions between trends and tones, combined with the sheer speed at which we live has made music a very wild horse to ride..and you can’t deny it: musicians, performers, DJs, producers, engineers: they all love wild horses. In the ever-evolving chaos of music, electronic music is no exception. From the production standpoint, it’s one of the genres that has freed itself from the old production chain. The absence (or lack) of acoustic instruments has made it possible to skip some bottlenecks: tracking live drums and loud guitar amps (for example) require a good studio, nice neighbors.. or both. From parks to underground small storage rooms, from subways to college dorms, you can catch anyone and everyone producing electronic music with a laptop, drum machine, portable workstation or even a tablet. Is today’s electronic music producer going to need a professional studio and its engineers? If so, how and why? One of the hardest challenges in the scene is the velocity at which it mutates: labels and distribution groups are interested in those who are ahead of their times, especially in EDM. On top of this, things have to sound as loud, punchy, groovy, and bass-rich as the top guys, or you are out. For this reason, most producers save their final move for the mastering phase: this is when professional studios and engineers come back for the rescue. In this article we’ll follow the development of the tune “Shaggy”, produced by Italian EDM Producer and DJ Gabriele Giudici and mastered by me, from when it arrived here to when it got released. It’s common for EDM producers these days to send me more than one version of their final mix. Often times they work completely in-the-box and have a favorite chain of plugins for their mix buss. They like to let the mastering engineer decide what is the best starting point: from full processing of the mix buss to no processing at all, with all in-between. You’ll have to use your ears and decide. Bypassing a mix buss chain that has been used from the start can completely dissolve a mix. On the other hand, some producers get trigger happy with trying the latest and greatest plugins released, so chances are they put way too much stuff on there. It all depends. Let’s hear the different versions of “Shaggy” that I got from the producer. One important thing is that I matched the gain between the different clips, so we don’t get fooled by volume. I decided to go with Version 1.1 because I found the transients to be more pristine and have less of a "veil", compared to the other two. If you are having troubles find spotting the differencies, try this: pay attention to the sub bass on all three. You'll find that in version 1.1 it's maybe not the most blatant but it has mass and doesn't wobble in the extremes (30-40Hz). Hearing this flutter requires a pretty good monitoring environment and in my experience subwoofers don't always tell this water-y behaviour. You can also investigate by only hearing the side channel, and I am sure your findings will be the same. Now that we have anchored our attention on one element, pay attention to the front-to-back behavior of the mix, when the bass and kick hit. Does it feel like there's actual depth or does it all feel on the same plane? One thing is to "hear" different sounds..yes, I can hear the same sounds on all three mixes..but do they feel the same? To me, v1.1 was the most organic and lively of the three, and felt less veiled by the typical digital halo of these productions, where excessive limiters, overdone samples etc. can quickly lead to a bunch of harsh noises floating around. Another common element is for producers to give you a reference for how they want their tune to sound. I love how EDM is oriented on results and standards...I find it artistically challenging and very fun. For this song, the reference was Notorious, by Malaa, a "Future House" tune released in 2016 on Confession Label. Let’s listen to a snippet of it, from right before the drop and let’s compare it to the drop in the song we’ll have to master. Again: the two clips are gain-matched to make the comparison fair. "Notorious" by Malaa appears courtesy of Malaa and Confession Records. This configuration allows me to run things with extreme versatility. 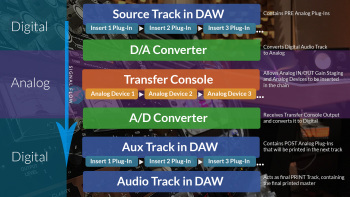 I can put plugins on the source track, I can then process things in the analog domain and then come back to digital and use other plugins before printing. I started by matching the source track to the reference. This is where the digital domain works great and is able to offset your tone without leaving a heavy footprint. 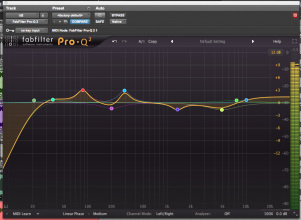 Some work had to be done to re-balance the spectrum and manage the stereo field, something that can be achieved with a versatile EQ plugin like the Fabfilter Pro-Q 2, in linear phase. I am well aware that some plugins have a “matching” function: you let them listen to something and then let them make your track sound the same as another one, they say. Well, I’ve tried it a couple times and personally found that matching things by ear was always better for me (and for the client). It could be the handmade-pizza attitude! As a second step I opened another instance of Pro-Q 2 and set it to work in mid-side. I brought presence on the mid around 5k and removed some resonance in the bass to smooth things out. On the side channel I cleaned some low-frequency information and removed some brightness at around 10k. This process got me in part closer to the reference but also prepared the mix for the heavy lifting we are going to do: attenuating resonances and removing low-frequency content from the side channel (just to name these two moves) are a common trick in electronic music and not only there. Note: I've used a low-shelf instead of a filter. This is a common move to avoid phase problems when you are not working in linear phase, but still a low shelf have a way of cleaning content in the lows that I most often likes on the side channel rather than high-pass filtering. Try both next time you are doing something similar, this is a trick worth remembering! Having worked with this producer on other masters, I know he’s an SSL Buss Compressor lover. This is where I start with his mixes almost all the time. My very-own "SSL-style" Bus Compressor was hand-built years ago, following the old version of the Bus Compressor found on SSL consoles like the 4000..and it had a prized DBX gold chip (very proud of that!). In the years, I found out that the most recent SSL Buss Compressor version (built around THAT VCA chips) had more of that bite and modern balance I was looking for, so I got me another one and never looked back. I set it up at 4:1, Attack to 1ms, Release to Auto, No Sidechain. I lowered the threshold until I heard the typical SSL magic. There’s a sweet spot in which the compressor just makes things tighter and more powerful. But also, it has a very strong center compared to the sides and I find that this is super important in electronic music with heavy kicks, because the audience just craves that massive central hit from the lows. Once satisfied, I started to give a pretty good gain out from the unit. Why am I breaking the rule of gain matching, here? Part of our mastering task is to bring the song to the same loudness level as the “reference” (yes, I can almost hear you say "the competitive level"). Why don't we just raise the volume knob somewhere in the digital domain? We could. Will it sound good? In my experience..not much! I like to go up in gain in the analog domain and do very little lifting in the digital one. If you have good analog gear, the output knobs will be part of your sound as much as the other features in the outboard, given the electricity and parts involved in the unit build. For the sake of these examples, I gain matched the clips again to let you focus on the tone and vibe coming from the compressor. From there I entered my Dangerous Music Compressor. This is another VCA compressor but in comparison to the SSL this one does not have a sound and is very transparent. I am getting the tone, glue and vibe from the SSL and use the Dangerous Compressor on 20:1, fastest attack (1ms on this unit) and release to tempo, in stereo, with no sidechain but with the Smart Dynamics control on. What this does is it engages a dual detector circuit that gives the unit a more euphonic behavior with more dependancy on the program material. I set the threshold just to kiss the VUs and probably get no more than 0.5/1dB of compression. This evens out the whole song and prepares it to enter the A/D. I started to add gain in order to reach the level the client wanted. I find the Dangerous Compressor to be able to give lots of gain without changing the color of the program, which is a very sought-after feature in a mastering situation. From there I got into the Dangerous BAX EQ, only to high-pass at 36Hz and low-pass at 28kHz. In other styles of electronica, hipassing at 36Hz is too much (remember, the filter being at 12dB/oct, the number you read is the point where we already have -3dB of attenuation..so basically the filtering starts higher than the indicated number). 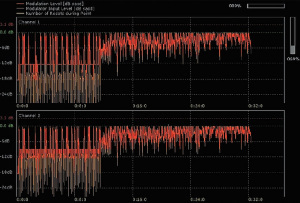 In this case this setting was able to restore balance in the extreme lows and tighten them (one of the areas with the most common problems in the tracks that I receive, because of room acoustics or monitoring deficiencies); both filters are also going to remove the extreme frequencies that are just going to be useless for the A/D converter to process. I hit the A/D stage and commit the mortal sin of clipping. I confess: I do it.. and lots of mastering engineers do, as well. Why is that? Isn’t it bad? Shouldn’t it be avoided? I am totally with you that this is theoretically wrong. It’s clipping, meaning it’s introducing distortion and other bad things in the audio that should not be there, but the way some converters handle clipping sounds much better to me than what I get with any digital peak limiting I’ve ever tried. Mastering studios make a big deal out of the converters range they offer for a good reason: there is no best. Some are very clean at "politically correct" levels, others have a distinctive color (with all the controversy that this offers, since most believe they should be colorless) but don't distort audibly when being clipped. Some notable examples of A/D stages for me are the UA 2192 (great color and soundstage but not too forward in the mid channel), the Apogee PSX (great forward drive in the mid, a bit more focused than the 2192), the Lavry AD122 (which to me sounds at its best when clipped! Go figure!) the Lavry 4496 series (good all-round workhorses), the Crane Song HEDD (clean and detailed but not what I would clip on a daily basis, but with some great features for coloration), the Lynx Hilo (another very clean candidate) the Prism AD-1 or 2 (just all-round great, polished soundstage and presence) and.. yes the list could go on, as there are so many I haven't tried yet and would love to.. but you get the idea. At each mastering session I audition converters as I would do for other pieces of analog outboard, as they will play a role in the final sound. For Shaggy we decided to use the Lavry 4496 D/A and A/D stages, clocked externally by my Antelope OCX. These converters are ready for everything and when loudness is to be expected they've always had my back. At this point we are back in Pro Tools, very loud but still pleasing. This is where I put my digital limiter. 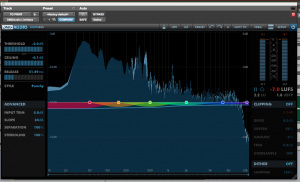 Depending on the content of the song and the style, I distribute the gain between the A/D clipping and the digital limiter. In some cases I let the digital limiter do 1dB more, in other cases 1dB less. In this case I chose DMG Audio Limitless. This multiband limiter/compressor in linear phase allows careful tuning of the various bands to achieve the desired loudness and still re-match the frequency content with the reference, need be. 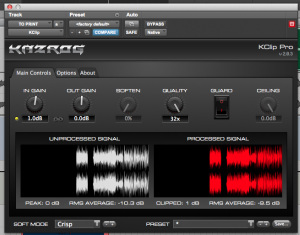 Very useful and capable of reaching loud levels without completely destroying the program. Achieving a loud master is also a matter of sacrificing parts of the spectrum that are not strictly fundamental, but remember: this is primarily done in the composing/arranging stage. Skilled producers know which sounds are to be tamed or even not used to enhance the fundamental parts of the song (“four on the floor”, for example, with powerful kicks and subs). When mastering electronic music, I usually keep an eye for frequencies ranging from around 160Hz to 350Hz and from there to 500-600Hz (that are very rough coordinates, it all depends on the mix, of course): most of the instruments in a mix are going to be present in these areas so handling these two bands is a crucial part of your dynamics management. With a multiband compressor or limiter you can compress and contain them, while keeping the extreme high and low bands free, or even expand them. 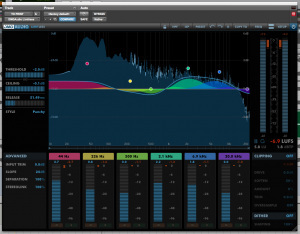 One cool thing about Limitless is that it's already a multiband peak limiter. This means we can work on compression/expansion of the single bands straight into the plugin, with a unified interface and engine. Let's take this step-by-step to give you a better understanding of what each move I did sounded like and brought to the table. Before using Limitless I used to do these tricks with the Waves LinMB (still a great plugin to have at your disposal) and the Fabfilter Saturn, which is able to add unique saturation to specific bands in the processing. If you have those you can combine them with your favorite "single-band" limiter and you have all the versatility you need. Another useful technique employed in a lot of electronic music is the use of Clippers. Clippers are peak limiters that shave off a transient that tries to pass their set threshold. 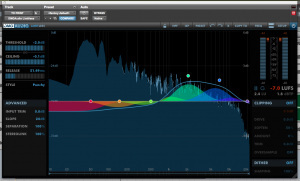 Often called “hard clippers” because of their zero-tolerance approach, these plugins are used to reduce the dynamic range of a song to allow for more average level. I am not a fan of going heavy-handed on this technique in mastering, because I find that it introduces harmonic distortion and character that I don’t always like compared to what happens in the analog domain, but this could be the sound you are looking for. In the old days (in this case I mean the late '90s), when "clippers" were not available, we would use simple audio editors and use their "find peak" function to have the software reveal where the loudest peak was in a song or section and then manually select it and attenuate the gain of 1dB or so (depending on the need). The result was a hand-made peak limited version that would then allow us to raise the overall track volume by the difference we had gained. The overall result was sometimes inaudible and we could make things louder before even getting in an L1 or L2 (popular at the times!). All this can be done automatically with today's "clippers", which often offer a very good, real-time visual. Finding the peaks is pretty easy as these are usually kick/snare hits in the song. 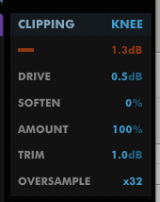 As you can see from the KClip screenshot, they are sitting higher than the rest of the sounds (which is essentially your average). At near-clipping stage these fast transients are going to be hard work for your limiter and/or converter and might easily introduce audible distortion. For this reason, a clipper might be the best way to pre-emptively contain the transients (and then compensate the gain) to avoid further problems down the road. In a way, the degradation they introduce might still be a more controlled and pleasing result than stressing your converter. Let’s hear two examples: in the first one, I've used Kazrog KClip right before entering Limitless. I am shaving around 1dB and compensating 1dB upwards. In the second one, I am using Limitless built-in clipper, same amount but slightly different settings and behaviour (the algorithms are just different). I'll let you decide which version you like best. Personally, I never find it to be as convincing as just clipping a good A/D converter although I have to say the algos are getting better and better. With loudness levels like these (remember: these examples are gain-matched to let you focus on the differences) the loss in depth, detail and width of your soundstage is practically inevitable. However, this is a style some productions go for, so it makes sense to try and experiment to preserve as much integrity from your audio material as possible. This mastering situation applies perfectly to single releases in the modern era of electronic production. It has more to do with matching a reference than to give cohesion to a number of songs that are going to be put in a single album. When that is the case, my approach obviously changes but the use of mastering chains and general methodology stay the same. Since most of these releases are happening in digital or being distributed by labels afterwards, there is usually no need for the mastering studio to provide the client with DDP format. Also I haven’t mentioned dithering. Everything bounced in this session is in 24-bit resolution, so we still have to go down to 16-bit for compatibility. I've been relying on Weiss Saracon for years whenever I need sample rate or resolution conversions. I know there are some free alternatives that work great and you should give them all a try before committing to one trusted solution. I usually provide the client with at least three 16-bit versions: one with TPDF, one with a Pow-r of choice (e.g. Pow-r 3) and a straight-forward truncation -because you never know - some prefer it with no dithering. Do not even think to say “it doesn’t matter” or “there’s no difference”. Even with very loud masters you can grasp a change in depth of the stereo field so I would recommend you do not leave this choice to chance, especially after you worked so hard on the mastering process! In the end, I went further into tweaking Limitless, using Manual mode. I didn't use any software clipper and just achieved the desired loudness from the analog gain staging, the A/D clipping and the threshold in Limitless. This is the point where most of the artists/producers I like to work with detach from merely cloning the reference but rather put that to a side and start listening to the vibe of their song. After some adjustments, this is what the artist picked, therefore we went ahead and printed the final master! There’s no rules, there’s no right or wrong, we are not testing nuclear warheads in a foreign country.. we are just making music. As long as you know what you are doing and keep the comms open with your producer/client, nothing wrong can happen. Bear in mind that with time, as loudness normalization continues to become a standard in all the devices, being the loudest guy in the block will mean nothing. Actually, the game will be on having the best dynamic range as once all tracks are gain-matched, relative loudness is removed from the equation. Some major platforms are already implementing this approach and I must say it has already worked for the better, because let’s face it: if you want to listen to it loud.. just turn the darn volume knob up. This said.. we are not quite there, yet. 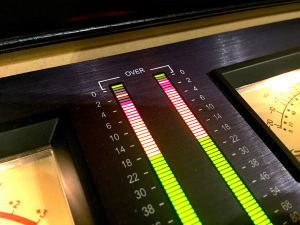 Producers and labels still focus on having loud levels, especially in electronic music. As professionals, we get hired to deliver a certain job and this by itself makes me very happy and passionate about doing it the way my client wants. My own little contribution to the topic of loudness wars, in this article, is to have gain-matched all of the examples so that they all sound equally loud. Even if I keep saying that the final level was really loud (..and we hit around -4dBfs RMS) I don't want you to focus on that. I want you to concentrate on the differences in sound that each of the steps made. 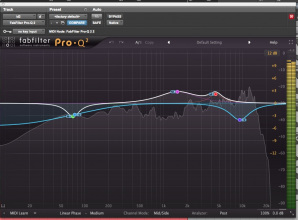 In these mastering situations, even if you can keep the mix to sound the same at those extreme levels, you are already doing something the producers will value you for, because you can't just get the same results by raising a volume fader in your DAW. More importantly.. I only care about having fun together and making music that makes people feel good, all around the world. So turn it up and dance to it, because clipping a transient has never killed anyone. Now, where’s my Margarita? Yee-ha! 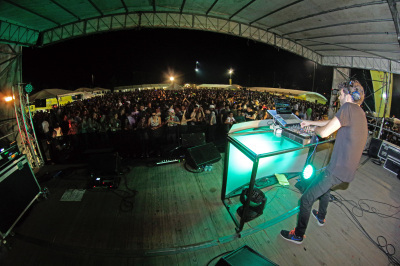 Gabriele Giudici, up-and-coming artist in the italian Future House / G-House scene. Author of O.T. Genasis’ CoCo unofficial remix able to get 340.000 plays all over the world and get played by Bob Sinclar, Albertino, Pep&Rash. 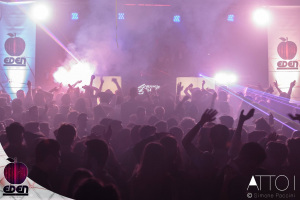 His original tracks and remixes were also included in Ministry of Sound Radio, Radio FG USA, Radio FG Mexico, Evolution 93.5 Miami, Radio Deejay Italy and Radio M2o Italy playlists. In 2016 he was one of the Amsterdam Dance Event’s official artist, one of the world’s most respected festival in the Dance-EDM scene! 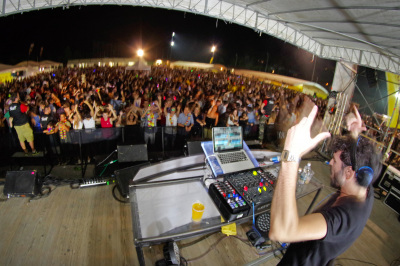 He also played in Ibiza during the International Music Summit and in Costa Rica during the Electro Party Roots Festival. Cover image courtesy of Pennarelli Photography and Rebel Events. 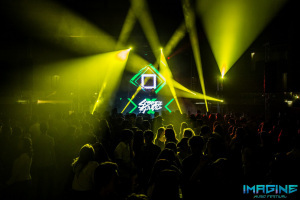 Photos in this article courtesy of Gabriele Giudici, Pennarelli Photography, ATTO I Simone Paccini, Imagine Music Festival, Eden Festival and Rebel Events.